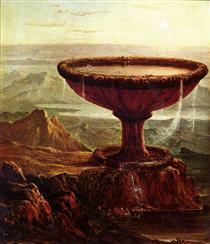 Thomas Cole (February 1, 1801 – February 11, 1848) was an English-born American painter known for his landscape and history paintings. He is regarded as the founder of the Hudson River School, an American art movement that flourished in the mid-19th century. 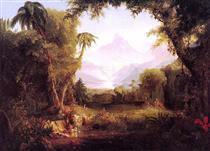 Cole's work is known for its romantic portrayal of the American wilderness. Born in Bolton le Moors, Lancashire, in 1801, Cole emigrated with his family to the United States in 1818, settling in Steubenville, Ohio. 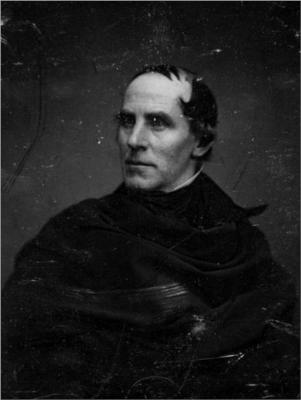 At the age of 22, Cole moved to Philadelphia and later, in 1825, to Catskill, New York, where he lived with his wife and children until 1847. Cole found work early on as an engraver. He was largely self-taught as a painter, relying on books and by studying the work of other artists. 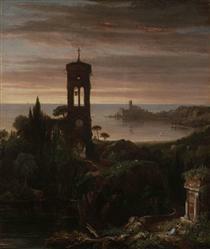 In 1822, Cole started working as a portrait painter and later on, gradually shifted his focus to landscape.